Information and news about the activities of the International Crime Fiction Research Group, involving an international network of researchers working in popular literature, popular culture and digital humanities. 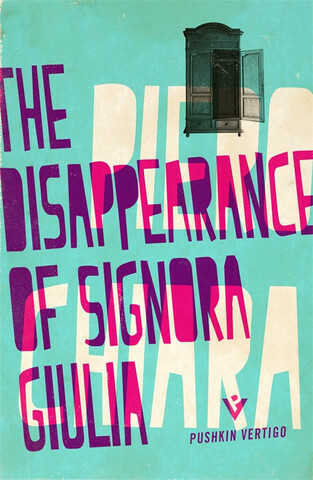 The Disappearance of Signora Giulia, by Piero Chiara (2015: Pushkin Vertigo), cover design by Jamie Keenan. The first and to date only novel by Italian author Piero Chiara’s (1913 – 1986) to be translated into English The Disappearance of Signora Giulia (Italian: I giovedì della signora Giulia), tells the story of the investigation into the disappearance of a country lawyer’s wife. While suspects seem easy to come by in this short novel, solutions are another matter entirely. This procedural was initially serialised in a Swiss newspaper in 1962 and is set in the dramatic milieu of the northern Italian lakes, where Chiara spent his childhood. The life of the author himself is no less interesting than the events of his novels. Working during WWII as a court employee, he was arrested by the Fascist Italian government in 1944 after he was rumoured to have placed a bust of Mussolini in the dock. He fled to Switzerland where he was interned in a camp for Italian refugees. After the war he taught history in a Swiss high school. His first writings – a collection of poetry, Incantavi (1945) were published there. Returning to Italy, he became a post-war literary star, winning over a dozen Italian literary prizes. After his death, The Premio Chiara award was established in 1989 as an annual prize for short story writers. The novel was published in English for the first time last year by Pushkin Vertigo. A new crime imprint of Pushkin Press, Pushkin Vertigo offer a number of foreign crime novels from Asia and Europe, from the 1920s to the 1970s. The Disappearance of Signora Giulia is the third book in this promising collection. Click here for more.